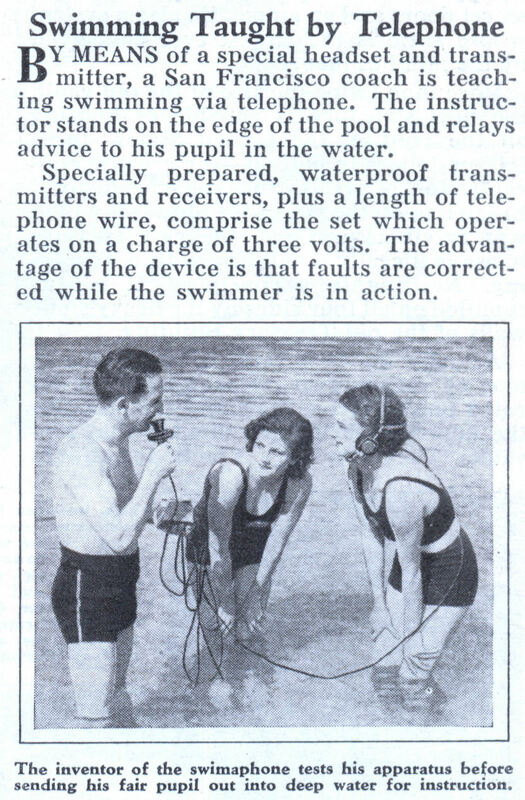 BY MEANS of a special headset and transmitter, a San Francisco coach is teaching swimming via telephone. The instructor stands on the edge of the pool and relays advice to his pupil in the water. Specially prepared, waterproof transmitters and receivers, plus a length of telephone wire, comprise the set which operates on a charge of three volts. The advantage of the device is that faults are corrected while the swimmer is in action. The disadvantage is that you’re and inexperienced swimmer with a telephone cord tied to your head. Eamon, that is an advantage, not a disadvantage. Now they can haul you in by the telephone cord. Hmm…maybe just yelling the instructions would be easier. 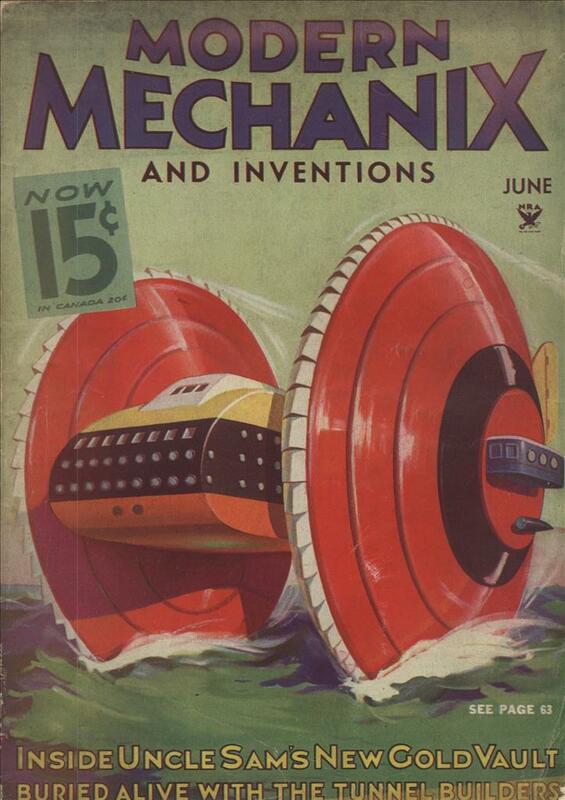 Talk about over-engineering! I think Blurgle has figured out the correct scenario. Though it looks like it would work fine if the swimmers only swam five feet. Yo, Fred! Make sure they’re leaning over, towards the camera. This sounds like a great idea! 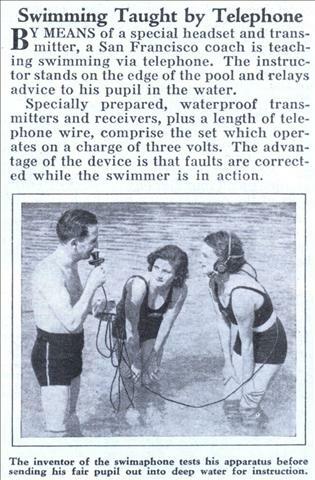 Wait… is it safe to swim while talking on a cell phone?